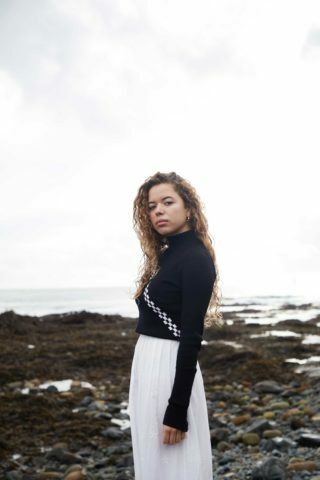 When I sat down with Nilüfer Yanya at the end of summer 2016 she’d only shared a couple of tracks online at that point – and one video, for ‘Small Crimes’. That story of a petty thief came accompanied by a clip of Yanya appearing in some gritty situations, including riding around on a stranger’s motorbike and wielding a baseball bat. I’m not sure what I was expecting but the softly-spoken artist I met near her west London family home found amusement in my suggestion that I was expecting someone with a more aggressive persona. Aggressive, no. A quiet, deeply-thoughtful, inventive thinker – absolutely. Since then she’s made a series of brilliant visuals. Not least for this new track ‘Thanks 4 Nothing’, a sobering love song about coming to your senses and moving on. She’s calling it her most “bitter and ungrateful song yet”. There’s also a macabre humour to the video (directed by ENERGYFORCE) – not to mention some very retro furniture – where Yanya appears as part of cult, and finishes by performing in front of a room of poisoned people.